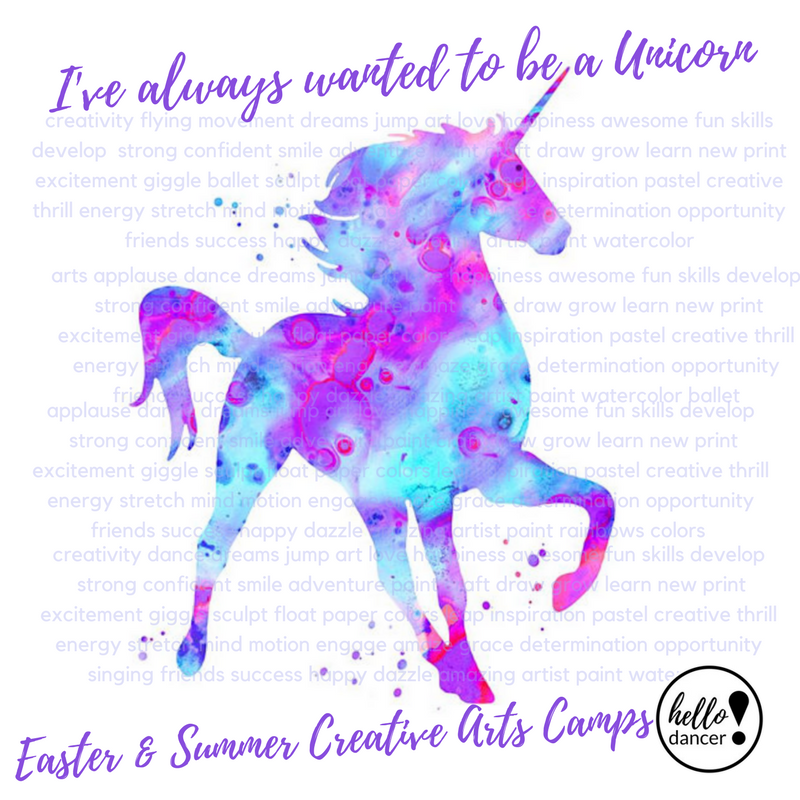 2018 Easter & Summer Camps! 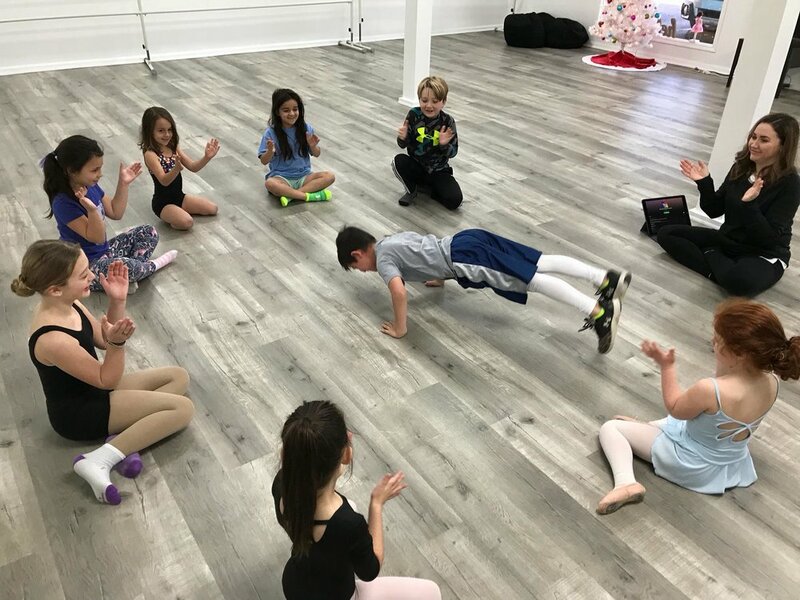 Hello Dancers offers Holiday and Summer Camps for boys and girls ages 3-12. Each camp is themed and filled with tons of dancing, crafts, games, friendship, and fun! 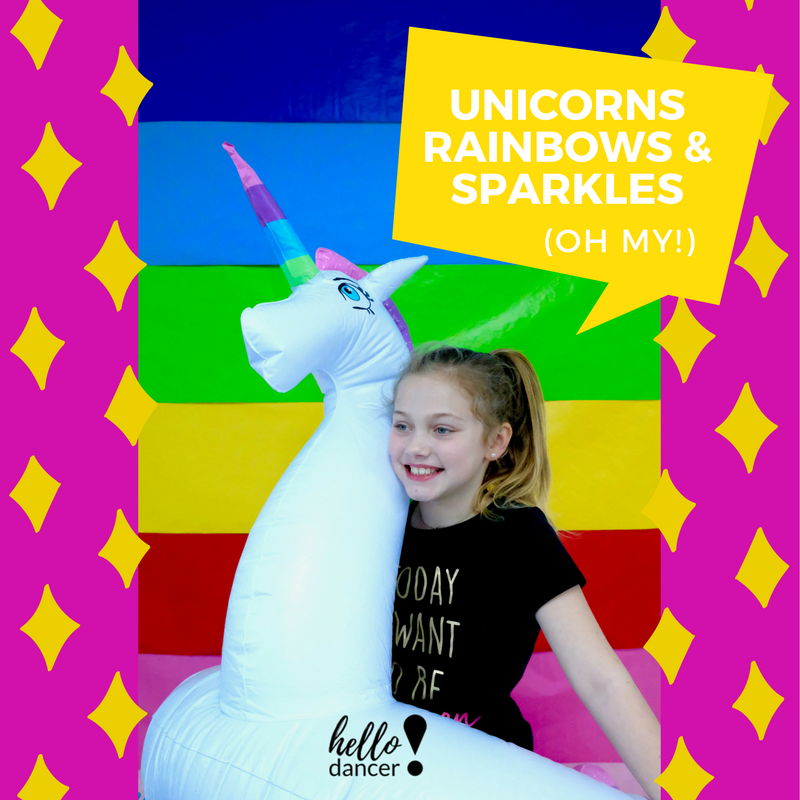 Unicorns, Rainbows, & Sparkles… Oh My! Follow your heart and create your own fairy tale in this fantastically fun ballet and tap adventure! Dance thought the Magical Kingdom of Tip Tap Toe. Upon reaching the castle dancers will be granted stunning powers from the Royal King and Queen, and receive an invitation to the Spin & Sparkle Ball! This crash course will include sparkling crowns, castle creation, and more! 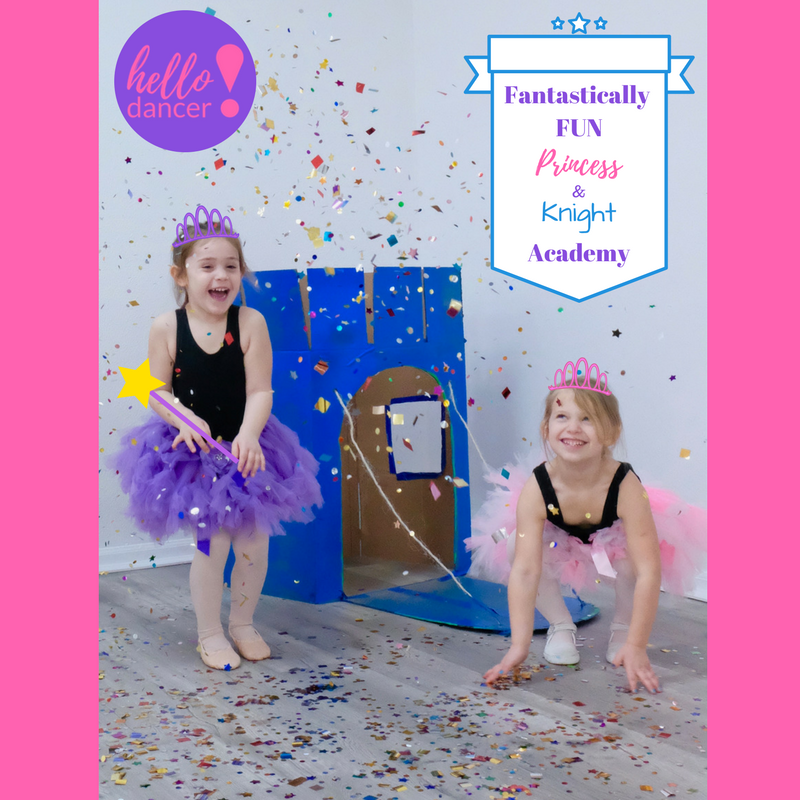 Happiness truly comes in tiny packages at Oh So Fancy Fairy School! Join us for fairy lessons in the glittery garden, where your dancer will delight in blooming ballet and twinkling tap! This camp includes petite pixie dusty crafts and whimsical wings! It's time to just let loose and have a grand time in this week of fantastically fun events! It's your duty to set up and plan a huge party that only all of the coolest animals are invited! Boogie on down the yellow brick road and let's party! Scour the deep seas in search of the ancient sunken treasure of the Santa Maria and swim the crystal blue waters like a mermaid bringing magic to all you encounter. This camp will have you using all of your imagination to become a Pirate and a Mermaid trying to tame the seas and find the gold coins. It's time to walk amongst the Dinosaurs and be larger than life! Look, Up in the Sky! It's a bird, no it's a plane, no it's SUPERMAN!!!! In this fun filled camp you will learn to move like a superhero, make shields, fly around in capes and help those in need! Get ready to become the Superhero you always dreamed of becoming!!!! Early Bird prices for Easter Camp end March 9th, and for Summer Camps May 9th. Online registration opening soon at hellodancerlafayette.com!